Imagine scientists can turn your genetic clock back in time to cure diseases like Parkinson’s and Huntington’s. This seems like an idea straight from the Twilight Zone, but as I discussed earlier with the CRISPR Cas9, the technology to do so actually exists, and is accelerating every day. We know this technology as the controversial embryonic stem cell research. But wait, what are stem cells? 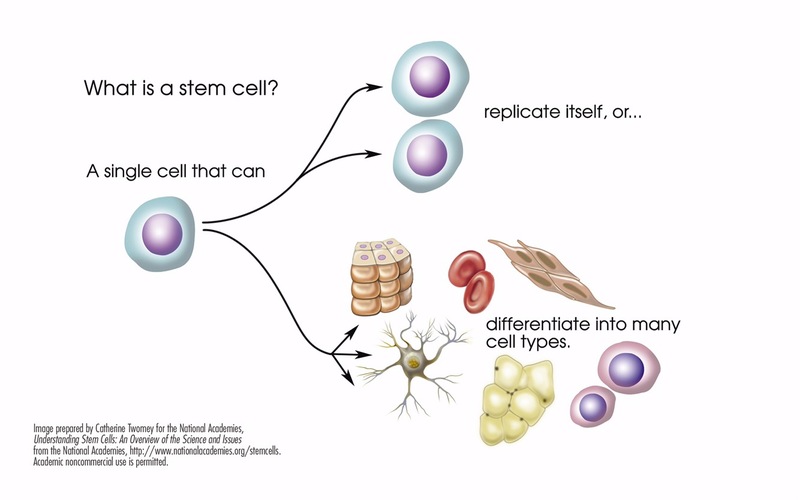 Stem cells are non-specialized cells which have the remarkable potential to develop into many different cell types in the body during early life and growth. You can think of them as repair kits, which replace cells that are damaged or diseased. Embryonic stem cell research involves the removal of stem cells from an embryo, which can be grown in a laboratory to establish an embryonic stem cell line, that is, a supply of cultured stem cells that can be propagated indefinitely. The ability to isolate and grow stem cells to replace diseased or damaged cells is a scientific breakthrough, but has been met with significant controversy. Many people and religious institutions believe that life begins right at the moment of conception, so they see the embryo as a living organism that deserves the same rights and protections as a normal human being. Many believe that embryos should not be destroyed to benefit other people. The debate over embryonic stem cell research has led several countries to put in place regulations, some of which include access to federal funding and research that only involves adult stem cells. In 2006, Japanese scientist Dr. Shinya Yamanaka discovered a way to turn adult stem cells into embryonic stem cells, a turning point which meant embryos would not be harmed. Dr. Yamanaka was looking for a way to cure sickle cell disease without destroying the embryos, and believed that if he could find the gene switches responsible for programming stem cells, he could flip those same switches in adult cells and reprogram them back to the moment before their pathway was chosen. He would have to isolate the genes to do this, but it would be no easy task. Virtually every cell in the human body has the same DNA, all share the same 20,000 genes. Over the course of three years, Dr. Yamanaka was able to isolate 24 genes, and using specially engineered mice called knockouts, he tested each gene’s ability to make pluripotent stem cells. He eventually narrowed the gene pool down to four specific genes. During his research, Dr. Yamanaka took skin cells from an adult mouse and used a virus to insert the four genes inside of them. Two weeks later, the skin cells in a petri dish transformed, and looked like stem cells. Yamanaka dubbed them induced pluripotent stem cells (IPS), which were indistinguishable from embryonic stem cells. These induced pluripotent cells are also known as reprogrammed cells. The huge advantage of using IPS rather than embryonic stem cells is that an embryo would not have to be destroyed in order to advance the research. The whole process is also relatively easy, and starts with a simple skin biopsy which can be reprogrammed into an embryonic pluripotent cell. Stem cells offer great promises for the development of effective therapies to treat a wide range of diseases. Thanks to Dr. Yamanaka’s research, several ethical concerns involving the treatment of embryos can now be addressed. By turning back our genetic clock, and transforming adult stem cells into IPS cells, Dr. Yamanaka has not only offered an alternative to the destruction of human embryos, but has opened a door for scientific research to advance to a point where a potential life doesn’t have to be sacrificed for benefit of another. Good post. I learn something new and challenging on websites I stumbleupon everyday. It’s always interesting to read through content from other writers and use something from their sites. Thanks for the engagement! I also enjoy stumbling on other websites and finding interesting content. Lot’s of writers have such interesting perspectives. It’s fascinating information but it is complicated and hard to sort through. Let me know if you have any other questions. I am not an expert by any means, but I’m really into science journalism.